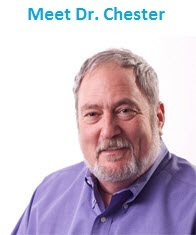 Dr. Chester is passionate about making sure each of his patients gets the exact health care they need. By providing multiple services and giving his patients the freedom to choose their own treatment plan, he makes sure that they have a positive oral healthcare experience. Robert Chester, DDS, provides complete dentistry in Bellingham, Ferndale, Blaine, and other communities within Whatcom County. 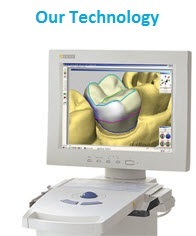 Dr. Chester is especially skilled in crafting restorations with a CEREC milling system. As a former dental laboratory technician, he knows how to craft body-safe dental ceramics into a durable and beautiful prosthetic. Your crown, bridges, and veneers made by Dr. Chester are designed to be as long-lasting and effective as possible. 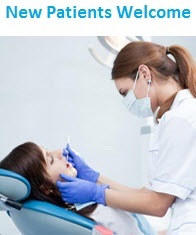 Every dentist tries to provide the highest quality treatments that they can offer. What sets our Bellingham dental practice apart is that we work with you to make sure you are healthy. From the moment you walk into our office for your appointment, our entire staff helps with any questions or concerns you may have. This includes making sure we know why you came in for your appointment and how you are doing in general; this information makes a difference in diagnosing your exact condition and the best forms of treatment. This spirit of cooperation carries over into the operatory, where Dr. Chester examines your smile. He is a firm believer in co-diagnosis, so he informs you exactly of what he saw during the exam by showing you enlarged versions of all taken x-rays and images. If you have a cavity, you can see that and discuss it with Dr. Chester. Our dentist will then bring up all treatment options so you and he can establish a treatment plan together. Robert Chester, DDS, offers complete and personalized dental care to patients in Bellingham and throughout Whatcom County. For more information about Dr. Chester’s patient-focused approach to dentistry, call our practice and schedule an appointment with us today.